Super-specialist in treatment and prevention of running injuries. Orthopedic manual therapy, treatment of running injuries and running analysis, Mulligan techniques, soft tissue mobilization, deep tissue techniques, post-operative rehabilitation and treatment. 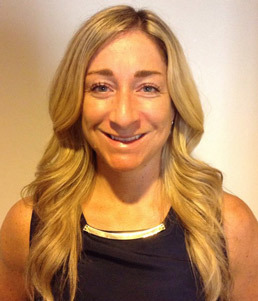 Stephanie worked for 10 years in a sport medicine clinic at the Olympic Stadium in Montreal and moved to Boston in June 2015. She was the head Physical Therapist for the Canadian Olympics Synchronized Swimming team for 4 years and took part in many events with the team, such as World Cups, the 2011 FINA World Championships, the 2011 Pan-American Games and the 2012 London Olympics Games. Stephanie participated in national level synchronized swimming for 5 years in high school and now she’s passionate about CrossFit and running.